Katie Grace’s birth into this world was not one that was out of the ordinary. It was a simple labor that despite its’ length was uneventful. Well as uneventful as a birth can be. 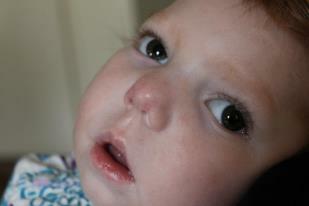 We don’t really know why or how, but somewhere someway, Katie Grace had a loss of oxygen. A loss that did most of the damage to her brain stem. Basically the mother board of her brain. All her neuro-messages and information that needs to get to her brain to tell her what to do and when doesn’t work. She spent the first month of her life hooked to machines at UC Davis. They didn’t give us much hope at first but somehow this tough girl made it through. 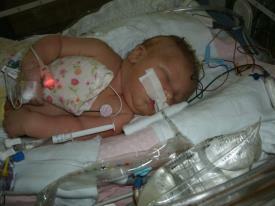 She was able to be discharged almost a month to the very date without an trache to help her breath. We left the hospital with not much knowledge as to what our life was going to hold. Or how long we were going to have her. Katie Grace has slowly showed us over the years what she needs in the way of care and her tenacity for life. That was her physical coming into this world but I always wondered what it looked like spiritually. After much thought and prayer I am pretty sure it looked a little like this.